Horse oil is one kind of oil and fat content extracted from horse mane, the base of tale and subcutaneous fat layer. The main component is triglyceride and it has been used as folk remedy such as burn wound, skin roughness, chopped skin, a cut, hemorrhoids and so on since ancient times. It is often used as cosmetics such as emulsion, cream and oil because it has close nature to human sebum, is easy to penetrate into skin and also excel in softening and moisturizing effect. The characteristics of horse oil are that it is natural oil and fat being the closest element to sebum (which is intercellular fat of cornified layer and the best skin care component for human beings. The main component of skin intercellular fat is ceramide and this organizes the skin texture, keeps its moisture, and plays important role in protecting inner tissues of the skin from any kinds of external stimulation. Horse oil goes well together with skin very much. Horse ceramide penetrates into horny layer of skin and keeps the skin healthy by compensating for the lack of fat. Tea tree oil is toxic when taken by mouth, but is widely used in low concentrations in cosmetics and skin washes. 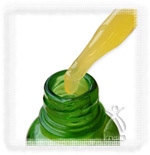 Tea tree oil has been claimed to be useful for treating a wide variety of medical conditions. It shows some promise as an antimicrobial. Tea tree oil may be effective in a variety of dermatologic conditions including dandruff, acne, lice, herpes, and other skin infections. The most unique and special point is our horse oil is extracted slowly at a low temperature below body heat. In this way, great components contained in the horse oil, which is omega-3 fatty acid “α-linolenic acid” or “linoleic acid”, are not destroyed. Furthermore, it is succeeded to make it penetrate easily into skin. General horse oil is extracted at a high temperature and the colour is white with the solid condition, but our original horse oil is smooth liquid condition at a room temperature. Therefore it can penetrate quickly into skin. Besides, it has beautiful shiny yellow colour derived from α-linolenic acid. No flavour, preservatives (paraben, edetate) added. Totally unbleached. As ability to penetrate into skin is high, you can apply comfortably without oil coming up even though you use before wet work or taking a bath. How is α-linolenic acid?is good for skin? α-linolenic acid has superior barrier reaction to keep healthy skin and to prevent skin by having oil firm on the surface of the skin at the same time. 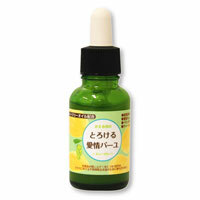 By using this "Kaeru series horse oil", α-linolenic acid and it enables to keep our skin healthy and beautiful. Moreover, it is recognized the following effects. Rub horse oil into the skin before wet work or taking a bath for preventing skin or hands roughness. Horse oil plays role of barrier and that guards your skin so that not to lose necessary oil for the skin in the water. Clean baby’s bottom and apply it gently. 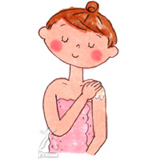 For preventing skin trouble, apply it gently to the part you care or whole body. 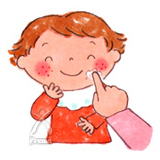 It is recommended to apply to lip for preventing roughness. After taking your makeup or stains off so as to get your face clean, apply horse oil thinly and wash your face after 20 minutes. It is more effective to apply horse oil and massage after taking a bath or before going to bed. Besides, in the morning, leave about 15 minutes after applying horse oil on face and wash your face. The makeup stays on your skin better. 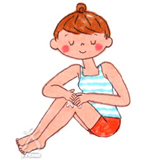 Rub it thoroughly into also the other part of dry skin and massage carefully. Especially, it is effective just after taking a bath. To keep your hair healthy, rub this horse oil thoroughly into the head skin 20 minutes before washing hair. Wash your hair after massaging carefully. You can keep your hair and head skin healthy when you steam your head with steamed towel after massaging. Due to changes in temperatures inside and outside the bottle, the rubber dropper may sink slightly in. There is however no need for concern. If you open the cap it will return to its original form. Kaeru Horse Oil will retain its original quality if stored at low temperatures. We recommend storing it in your refrigerator. After opening the bottle we recommend that you use the oil within 1 year if stored at room temperature, and 2 years if stored in a refrigerator. Plays outstandingly in summer time! Some ways of usage of hose oil in summer. Horse oil is utility oil for supporting our skin gently. 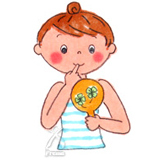 It goes without saying that it is active to preventing skin roughness by winter dryness, but also it has effects on summer time for combatting freckles from strong ultraviolet ray of sunshine and preventing trouble from bugs. This "Kaeru series horse oil" is “reliable exist” also in summer time for everyone both kids who loves sunshine, and men and women who want to combat freckles. Does this product really come from a horse? Yes, it does. But we only use oil from horses that are processed for food. Eating horse meat is not uncommon in Japan, and raw horse meat (basashi) is a famous dish you can find in many restaurants. Please rest assured that the horse is not killed for the purpose of extracting the oil. The story of Mr. Tateuchi, the original developer of this product. This is the story we heard when we visited the factory where our Kaeru Horse Oil is made. Many, many years ago Tateuchi worked at slaughterhouse in rural Japan. And at the time he had a baby girl. He loved his little girl more than anything in the world, but there was one thing about her that tore his heart apart. Since birth she suffered from Atopic dermatitis, a chronic skin disease that made her develop painful and itchy rashes. She cried and cried from the pain every day and night, and Tateuchi felt her pain just as much as she did. 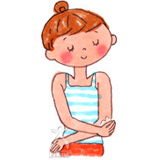 He tried all kinds of medicine and products in order to relieve her pain, but nothing seemed to work. One day a friend of him told him that "Horse Oil" was good for itchy skin, but a small bottle of the oil cost as much as 1/4 of his monthly salary. Anyway, he was determined and willing to try everything to help his daughter, so he bought the Horse Oil and applied it to his daughter's skin before putting her to bed one night. She normally cried all night, and all morning, keeping everybody in the house awake, but Tateuchi woke up the following morning after having slept longer than he had in a long time. When he opened his eyes the daughter came smiling into the room carrying the small bottle of Horse Oil telling him to apply it again. It worked! What was this thing!? He checked the ingredients on the bottle, but it contained nothing else than simply oil from a horse. What great luck! The slaughterhouse where he worked processed horse meat as well, and the fat from the horses was thrown away in large amounts every day. He brought some home the following day, cooked it, extracted the oil, and applied it to his daughter's itching wounds. But it didn't work as well as he thought, and the next mornig the daughter told him to rather apply the previous one. What was he doing wrong? Meticulous research showed that the key was α-linolenic acid. The Horse Oil he bought had 15% of this, whereas what he made had only 7%. This acid is destroyed at high temperatures, so Tateuchi decided to try to extract oil again at a low temperature. With low temperatures he could not extract more than a third the amount he did before, but he managed to get the amount of α-linolenic acid up to 15%! This was it! He made it again and again while perfecting the process, and always tried it out on his daughter to get the best results. After a while the news spread to the area and many people asked him to make Horse Oil for them too, which he gladly did. The horses that gave the best oil where horses bred on open farms where they feed on natural grass. As there were few of these in Japan he searched the world for the best horses, and eventually he found them (exactly where is a business secret!). These yielded α-linolenic acid amounts of as much as 18%. The Horse Oil has long been used not only for all kinds of skin diseases, but also to keep down inflammation, to heal wounds faster, for stiff shoulders, muscle pains, burns, as well as a skin care product to give you beautiful skin. All are effects attributed to α-linolenic acid. Horse oil is quickly absorbed deep into the skin, and is known to advance the circulation of blood and the metabolism, and is therefore effective for much more than just the surface of the skin. Because of this, Horse Oil has come to be highly appreciated and recognized by both consumers and doctors. This is a "Donation Product". When you buy 1 bottle 100 yen will be donated to the effort of clearing unexploded bomb shells in Laos. For 9 years (1964-1973) the poor South-East Asian country of Laos was drawn into the Vietnam War, and a more than 500.000 bombing raids were conducted over the country. Laos was on average bombed every 8 minutes, and the total weight of these bombs surpassed 2.000.000 tons, more than 1 ton per capita. It goes without saying that Laos is the country in the world that has suffered the most from cluster bombing. The damage from the war continues even today as unexploded ordinance from the war still litter the countryside. What often happens is that farmers come in contact with the bombs when they plow their fields, causing them to explode. Accidents like these are everyday events for the people of Laos, and more than half of the victims are small children who are not even aware of the dangers surrounding them. Accidents often happen when children play with the unexploded ordinance, or when people try to remove gunpowder and metal from the bombs to sell at the market. The Lao Government, as well as private organizations are continuously putting effort into clearing the ordinance, but both funds and qualified personnel are far from plentiful, and it's estimated that it will take several hundred years before all the cluster bomb ordinance can been removed from the Lao soil. The humanitarian organization MAG (Mines Advisory Group), who has conducted bomb disposal from early on, is currently in great need of more metal detectors. They wish to have one metal detector for each personnel member, but are currently forced to share one metal detector between several people. As one piece costs as much as 6.000$ (500.000-600.000 yen), it is not easy to provide all the detectors needed. If the personnel can become able to do removal by themselves, disposal speed will increase remarkably, and more and more land will yet again be safe for the people to live in. We are being supported by Souken Japan, a company that took part in making this horse oil. And for every bottle you buy of our "horse oil", we will donate 100 yen to the effort of removing unexploded ordinance in Laos. The donations are distributed through the non-profit organization "Terra Renaissance", and given to various organizations in Laos. The donated money will be spent on new metal detectors, as well as on aid that might be deemed necessary in the future. What is the Kaeru Series?